Roots Brand Experiences, a subsidiary of Rock Castle Entertainment Pvt Ltd. has been chosen to execute the annual SBI Card Cricket Premier league, Season three across eight cities. The league will be held across Delhi/ Ncr, Chennai, Ahmedabad, Pune, Mumbai, Bangalore, Hyderabad and Kolkata through the month of April 2017. This is an annual initial initiative by SBI Card as a step to engage their internal force in outdoor sports activities. - Its mandatory to have 2 female candidates in every team. - There is one 'power play' over by female members, where female bowls and female bats. and more fun rules like this. 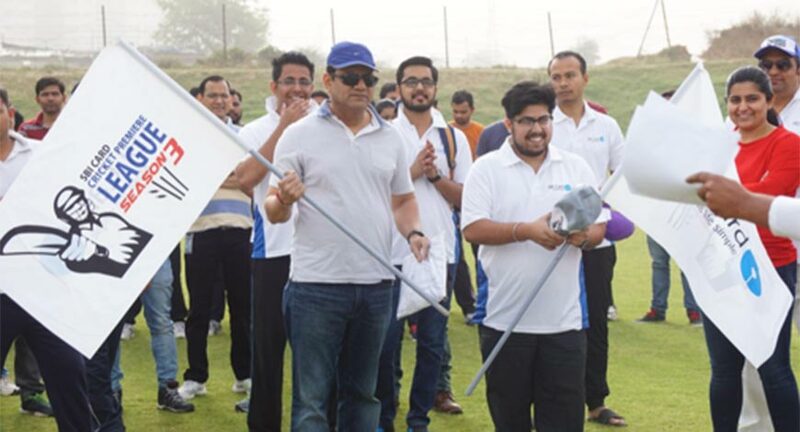 The biggest chapter i.e Delhi/ Ncr league happened on 7th and 8th April, where 16 teams from various departments like Marketing, Collections, HR, Customer services, finance etc took part. However the winners were once again the customer services team being the youngest from the lot. 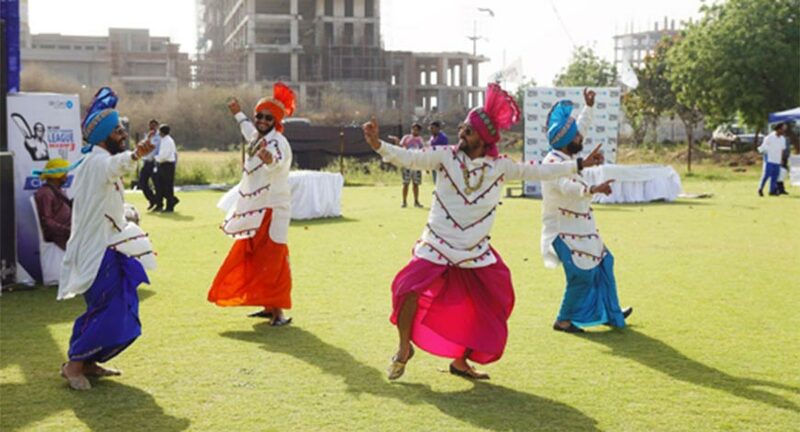 The league saw Indian cheer leader boys in form of Bhangra Dancers with Dhol dancing to every big hit and wicket.